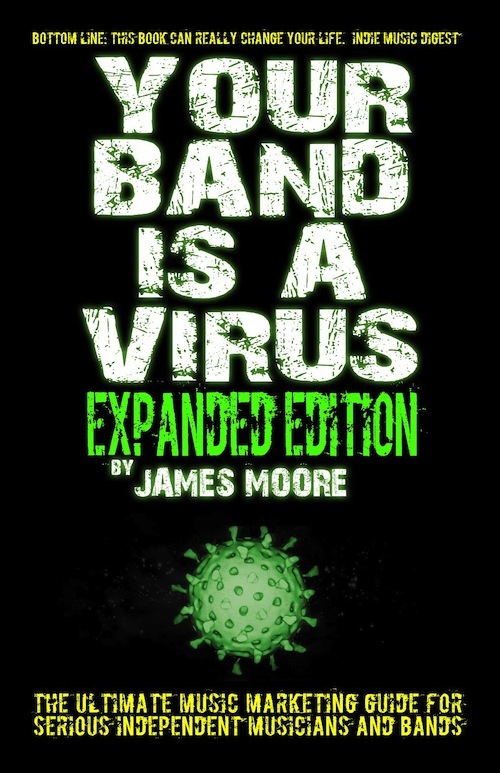 The following is an excerpt from Your Band is a Virus by James Moore, reprinted with permission. The music industry has changed so much in the past 10 years, that there has emerged a "free path," or a backwards method of promoting, and this presents another way to go when approaching your website design. I present this as another option, as many people are tired of the “information overload” so common on the internet. When you provide something simply and directly, it can pay off, and people spread the word accordingly. Please note that this “backwards method” is my suggested method. While the sales tactic definitely works for many bands, I have seen many more forward-thinking artists make huge strides by making their music free and easily accessible. The reason I call it the “backwards method” is because it requires both patience and foresight – it's also counterintuitive. Most artists are expecting too much from the starting line as far as sales, and this method demolishes that idea by advocating exposure first, sales later. 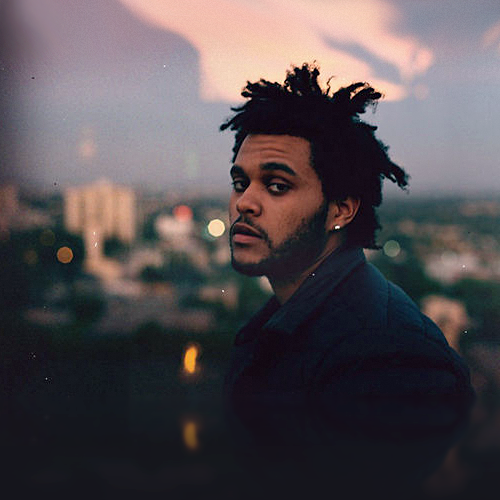 Canadian R&B sensation The Weeknd broke many of the traditional rules of the music industry, as well as the illusions of how independent artists should promote themselves when he released three high quality albums online within a year’s time. His website was simple. There was no bio. No photos. Nothing. Just a big photo of the album cover in question and a button that said "download," as well as an email contact to make sure he could be reached by the industry. If you wanted more information, the social network buttons were available on the side, neatly out of the way. With no frills, no gimmicks, and a high amount of stunningly good content, this built trust and aggressive word-of-mouth. With no email even required to download the album, this allowed new fans to rapidly recommend the artist, as they knew none of their friends would be hassled with any mailing list or email notifications. This is a fairly new method, and it requires the same amount of hard work as traditional methods because, after all, people still need to find your website. It also requires a deep level of trust in the music itself, because there is no hoarding of information. Many artists don’t yet understand this method. They ask, “Well, how am I going to make money then?” That’s typically the main concern. My answer is, “Why don’t you build your name first so you can then make money?” Thinking you’re going to make money on a completely unknown band is insane, and that harmful illusion needs to go. It causes many artists to become paralyzed and unable to see beyond the amount of 99 cent downloads they’re raking in (which in most cases is only a few). People like free stuff. It’s as simple as that. This makes free digital releases a wonderful option for independent bands who want to build their fanbases quickly and organically. As opposed to devaluing the product (as it clearly didn’t in The Weeknd’s case), if done correctly, it can show an immense confidence in your work and its ability to spread, creating its own momentum. Independent artists have no idea how many people turn away from a band when they can’t find a free download of their album. It’s neither good nor bad. It’s the way things are. The utility of these people is sometimes greatly underestimated. When someone “steals” your album, it doesn’t necessarily end there. They may post your video on their blog or their Facebook wall. They may give the album to their friends. They may put you on their online playlists for Google’s bots to pick up on. This all feeds in to your hype. You can shut it down because you imagine getting 99 cents a song, but this suggestion is just a nudge to hopefully show a bigger picture. When your music is out in the world being spread as opposed to being hoarded, you are far more likely to generate strong word-of-mouth, which can attract licensing deals, festival offers, and label attention. That said, your music needs to be unbelievable and you must put time and effort in for this to work. Whether you choose the selling method, the free method, or a combination of both, you need to have your music online and easily accessible. James Moore is the founder/CEO of Independent Music Promotions, music PR for "music with depth" worldwide. He is also the author of the best-selling music marketing guide Your Band Is A Virus.